This is incredible cheeky, I know, as this is a food blog and you come here for the food (I assume!!) 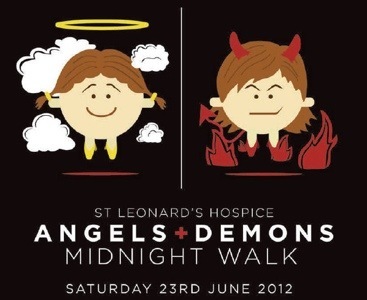 but I’m about to leave the house to go do the Midnight Walk to raise funds for a local Hospice and I’m still short on my fundraising target. Even if it’s only £1 I would really really appreciate all the help I can get to raise money for this amazing place as without our help they simply wouldn’t be able to keep offering the wonderful service they do. 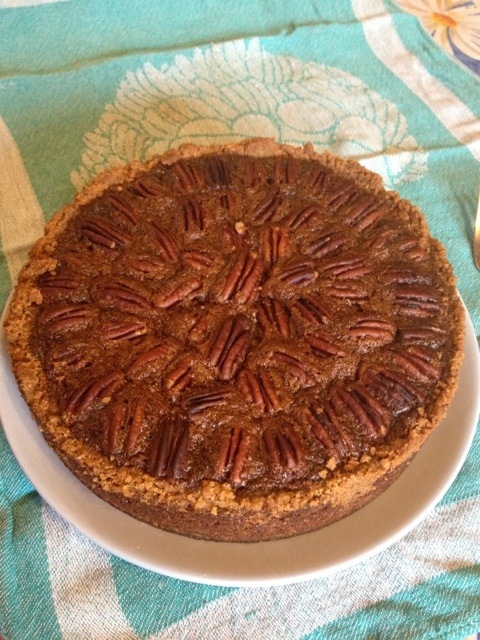 Thank you so much, I’ll get back to our regularly scheduled recipes on Monday! Another pretty simple dish using my dream team of ingredients, bacon, mushrooms and cream. You just can’t go wrong with them! (I swear, I eat other things too! Really!) 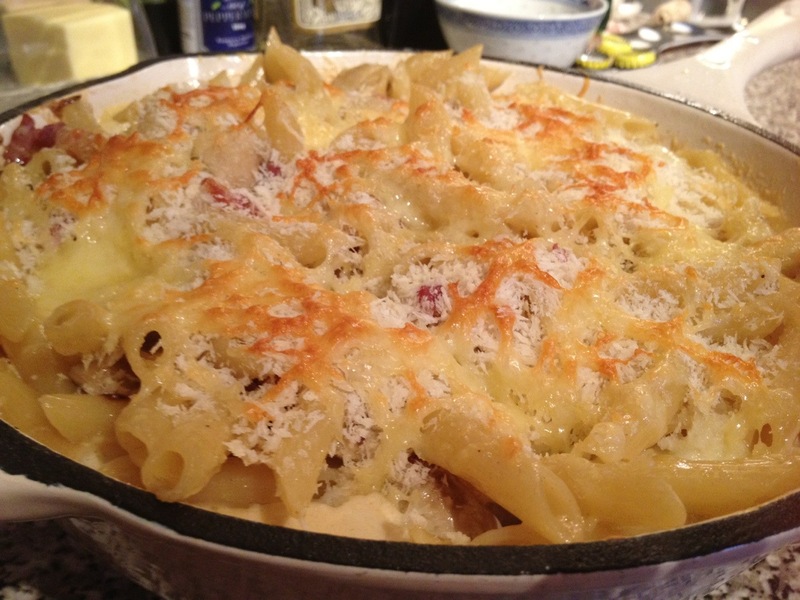 This time it’s a pasta bake, lovely and creamy and cheesy! – Cook the pasta according to the packet instructions. – In a large, oven proof pan saute the onion and garlic in a little olive oil. – Add the mushrooms and lardons and saute until cooked. – Add the cream and bring to a simmer. – Season according to your taste. – Add the cooked pastato the pan and stir until well mixed. – Tear the mozerella into chunks and stir through the pasta. 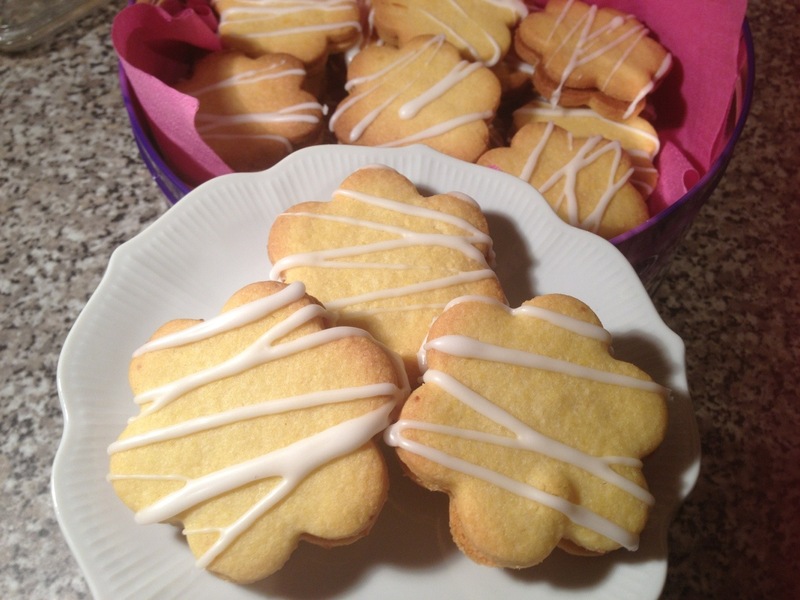 – Scatter with breacrumbs and grated cheese. – Either pop under the grill until browned or you can put it in the oven at gas mark 6/200C for 20 minutes of you prefer. I found a whole box of asparagus bundles reduced to 30p each at the supermarket and just couldn’t resist! I restrained myself to 6 bunches. 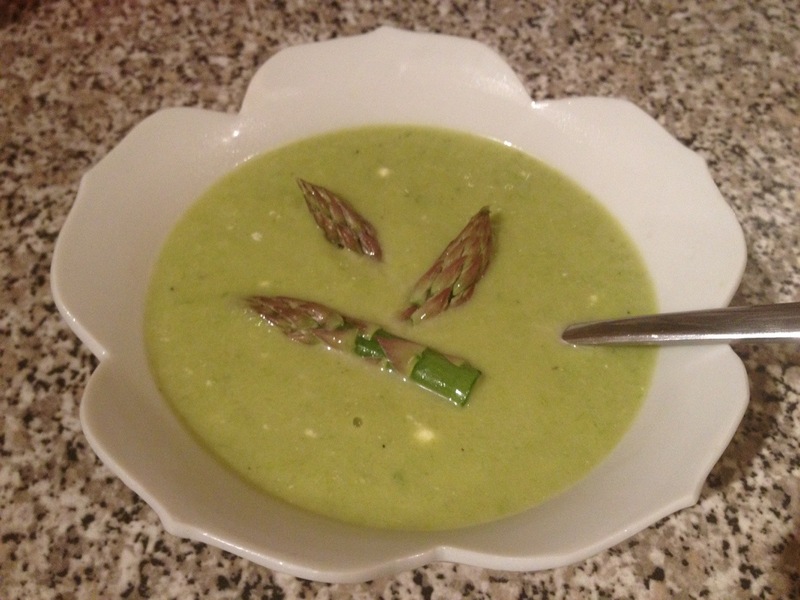 I spent a few weeks in Italy earlier this year during asparagus season and was served a delicious asparagus soup. It seemed like a good time to give it a go myself! – Gently melt the butter in a large saucepan. – Add the onion and cook gently for 5 minutes with the lid on until soft. – Chop the asparagus into ~1″ lengths, removing the woody ends of the stalks and reserving at least 12 asparagus tips. – Add the asparagus to the pan and gently cook for 10 minutes. – Add the hot stock and use a stick blender to puree until smooth. 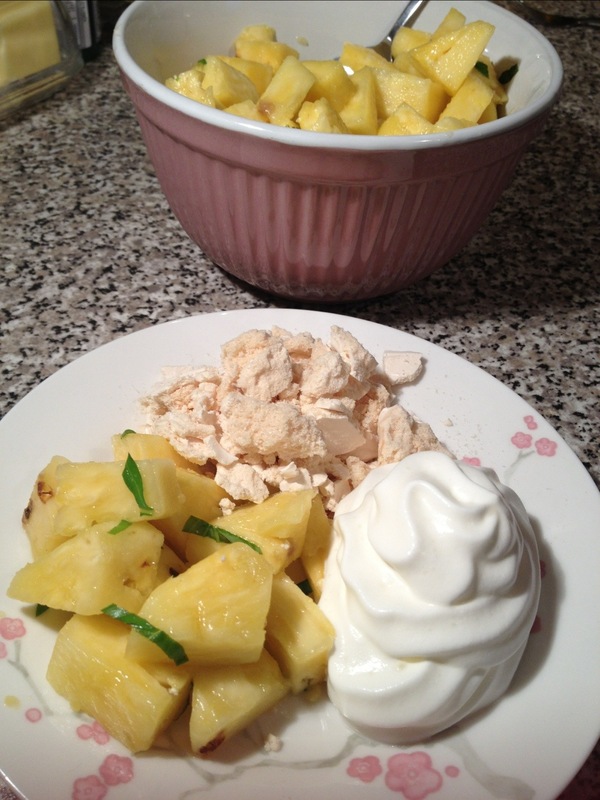 – Add the creme fraiche and stir until it has melted in. – Add most of the asparagus tips and simmer the soup for a few minutes. – Serve with a few of the asparagus tips on the surface. 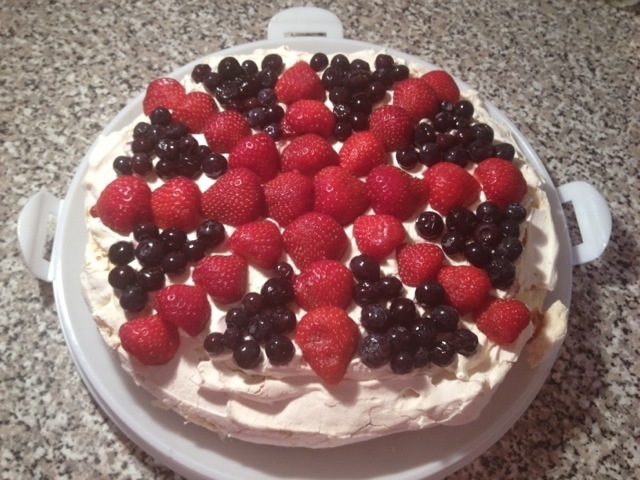 My family are well known for our Pavlovas. My mother will always have a Pavlova base or three ready for an impromptu dessert! One of our best inventions ever was the Banoffee Pavlova. So simple but so right! – Gently spread the caramel over the pavlova base, being careful not to crush it. – Cover with a layer of sliced banana. – Swirl the cream over the top. – Decorate with strawberries and blueberries to make a union jack.